Spreo wayfinding system, who specializes in indoor navigation, has recently integrated with NoviSign digital signage software to provide a combined solution. Online PR News – 07-March-2017 – New York, NY, U.S.A. – Spreo (U.S.A.) specializes in indoor sites/buildings navigation and provides solutions for self-location detection, based on advanced technology. Spero is offering a wide range of constructions and infrastructure, fixed and mobile stations, portable equipment, charging, distribution and collection points. Spreo uses BLE beacon and WiFi signal fingerprinting, internal sensor fusion, map constraints and other data inputs to provide a complete, integrated platform for step-by-step indoor navigation, location based marketing and analytics. 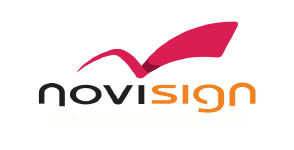 NoviSign (since 2011) is a digital signage software provider, develops and sells signage solution which includes Android (as well as Windows and Chrome OS) based signage player and high end content editor – a studio that enables users to easily design a screen, divided into flexible sub areas, which present different kind of media, from traditional design, social networks and up to interactive games, polls, and IoT based content – such as face recognition/people counting and identification, event trigger display by scanning or detectors. Among its customers: Nasa, Home Depot, Great Wolf Lodge, Disney, Worten, Dold, Mellanox, Hadassah hospital and more. The cooperation and joint development between the two was carried out this year, brings into synergy the advantages of each platform, combining the navigation and dynamic broadcast capabilities into one solution. As part of the indoors navigation process, your self-position is noticed as an event – detected by the system and triggers a designed display of information, messages and opportunities along the way/route.